Chinese website cnBeta [Google Translate] is the latest source to claim Apple will release a new 4-inch iPhone early this year. The blog, citing Foxconn sources, shared many new details about the so-called "iPhone 5e" that we have broken down for comparison against previous 4-inch iPhone rumors below. 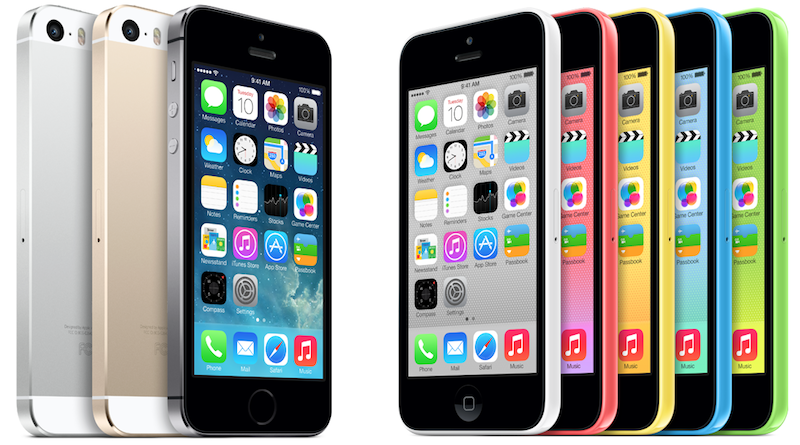 "iPhone 5e" vs. "iPhone 6c"
Apple's next-generation 4-inch iPhone has been given several names, including "iPhone 6c," "iPhone 7c" and "iPhone 5s Mark II," but this is the first report where it has been called "iPhone 5e." The website claims "iPhone 5e" will represent an "enhanced" iPhone 5s and replace the latter in Apple's smartphone lineup once released. iPhone 5e would be Apple's new entry-level handset. The report says the "iPhone 5e" will be powered by Apple's 64-bit A8 chip and 1GB of RAM. Apple devices with an A8 chip: iPhone 6, 6 Plus, iPad mini 4, Apple TV 4, iPad Air 2 and the newest iPod touch. Japanese website Mac Otakara also said the new 4-inch iPhone will have an A8 chip, without disclosing potential RAM, while Chinese website MyDrivers said the device will have an A9 processor and 2GB of RAM. KGI Securities analyst Ming-Chi Kuo also said the 4-inch iPhone will have an A9 chip in a research note to investors, but that appears to be more of a prediction rather than supply chain evidence. The report claims the "iPhone 5e" will have 16GB base storage, with a 64GB model also available. Chinese website MyDrivers also said the new 4-inch iPhone will have 16GB base storage. "iPhone 5e" will have the same rear-facing 8-megapixel iSight camera as the iPhone 5s, according to the report. If the "iPhone 5e" proves to be an "enhanced" iPhone 5s, then this makes sense. No other reputable iSight camera rumors have surfaced about the new 4-inch iPhone, but Mac Otakara said the device will have an improved FaceTime HD camera with ƒ/2.2 aperture. The report claims the "iPhone 5e" will be lighter, implying that it will likely also be thinner. Mac Otakara previously reported the new 4-inch iPhone will resemble a sixth-generation iPod touch. Mac Otakara now says the new 4-inch iPhone will have dimensions of 122.90 mm ​​x 57.63 mm, which is fractionally thinner than the iPhone 5s. Apple could use 2.5D cover glass like the iPhone 6s. Apple will reportedly add NFC and Touch ID to the "iPhone 5e" to support Apple Pay, which is not available on the iPhone 5s unless paired with an Apple Watch. KGI Securities analyst Ming-Chi Kuo has also claimed the new 4-inch iPhone will feature Apple Pay to complete Apple's lineup of NFC-enabled devices. The report claims the "iPhone 5e" will support VoLTE calling, allowing for wideband, high-quality phone calls on select carriers in the U.S. and nine other countries. The report corroborates previous rumors claiming the new 4-inch iPhone will be available in Rose Gold and other existing iPhone colors. Multiple reports claim the device will have an anodized aluminum finish like the iPhone 5s, rather than plastic casing like the budget iPhone 5c. The report claims the "iPhone 5e" will launch in February-March, possibly around the Chinese New Year, lining up with multiple other reports claiming the new 4-inch iPhone will launch in early 2016. Pricing could start at around 3,288 yuan ($500 U.S.). cnBeta accurately reported on the iPhone 6s Plus's packaging and smaller battery, but also incorrectly claimed the A8 chip would top 2 GHz a few years ago. Why? Apple, why? Is it so hard to create a 4" iPhone with flagship specs? Why deliberately gimp your own products this way? There is nothing about a smaller phone which suggests it has to be inferior to a larger phone. Why even bother? Just keep selling the 5S until September and then release the 7 in three sizes. A8 and 16GB starting at $500? Did this come from the Onion? This is strictly for people who just prefer a smaller device. Some will trade the higher specs for size. This is one area where they copy Android phones and shouldn't. Why do all manufacturers insist on using low end specs for small phones? The irony is that Apple used to pride themselves on selling smaller phones than the competition. Now, it seems like Apple is ashamed of ever having sold such "puny" devices. Might as well relaunch the ROKR.